Gun ranges provide a service that is much needed by American gun owners. This is particularly true for those of us who live in major metro areas. The local gun ranges represent our only convenient option to train with our firearms. Sadly, some of the more effective training tactics that we teach our students cannot be practiced at most gun ranges. For the safety of every patron coming into the gun range, both the most experienced shooters and the most novice, gun ranges tend to have a set of rules that go to extremes to ensuring that everyone is safe. Drawing your firearm from a holster or place of concealment. This is generally a big no no. Set the gun down on the range table, pick it up to shoot, and then set it down again. Shooting at multiple targets side by side or in angled directions. No dice. Rules generally require you only fire at the target in your lane, straight in front of you. Shooting from behind or around cover. Sorry here too. You will need to stand in a “reasonable” standing stance and shoot straight. Clearing Malfunctions. This is a skill you need to develop but a lot of ranges require you call the RSO for assistance. Gun ranges have the right to be nervous. Any of the above practices can be dangerous both to the shooter and to others in the range. Here are some suggestions of how you can increase your learning experience despite these rules. Get clear on what the range rules are. Check your gun range's website and or call them before you go. Train these motions FIRST extensively in a safe environment with training firearms. Research to see if there are any gun ranges in your area that have a tactical firing line or tactical section of the range where the rules may favor those who are doing self-defense training. Familiarize yourself with safe and legal locations in the outdoors, outside of city limits where you can control your own training environment. When arriving at the range introduce yourself to the range safety officer (RSO) and let them know what your training goals are and ask them for suggestions and input. What else have you found helpful to better your training experience despite the rules at the gun range? Let us know in the comments below. Then, make sure head over to the Concealed Carry Facebook page and give it a like so you don't miss any gun/gear reviews, self-defense related articles, or gun industry news. Great article with many excellent points. This is why, if possible, live fire training should not be limited to an indoor range. It is worth looking in your area for an outdoor range that has pistol bays with earth bermed walls. 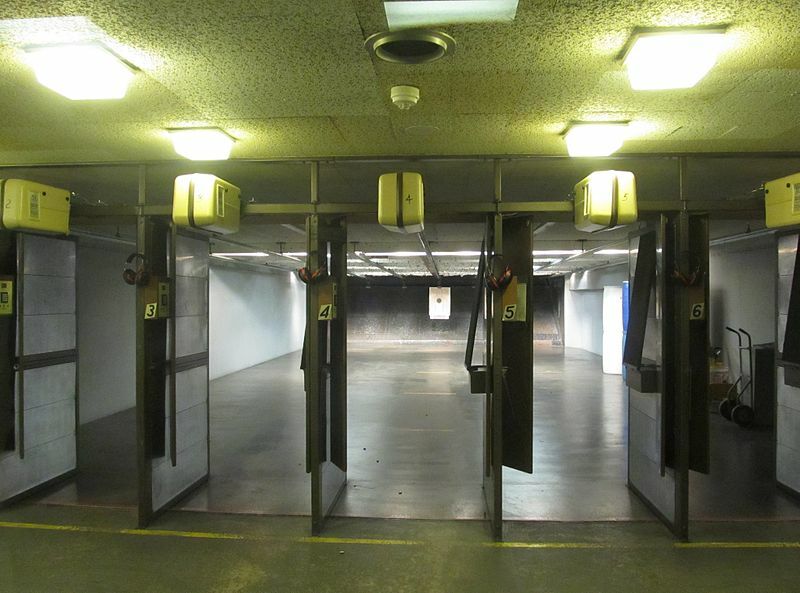 These types of facilities will often allow a little more dynamic training than a typical indoor range. The safe and legal locations to shoot that are outside of town and not ranges are locally known as private property. And they’re posted “No Trespassing”, which is enforced by owners who are as well armed as you are, and who have the law on their side. They are not legal accept by the owner, his/her family, and invited guests. Privately owned land out in the country does not constitute legal shooting territory. I can’t just walk into your house in the city and start practicing my religion, can I? A 15 min safety video covers all the above. Everyone that shoots at the 3 ranges in my area are required to view it once a year. Screw up once, hand slap. 2nd time you’re out. PERIOD.